2.016,00 € прибл. 145.095,35 руб. 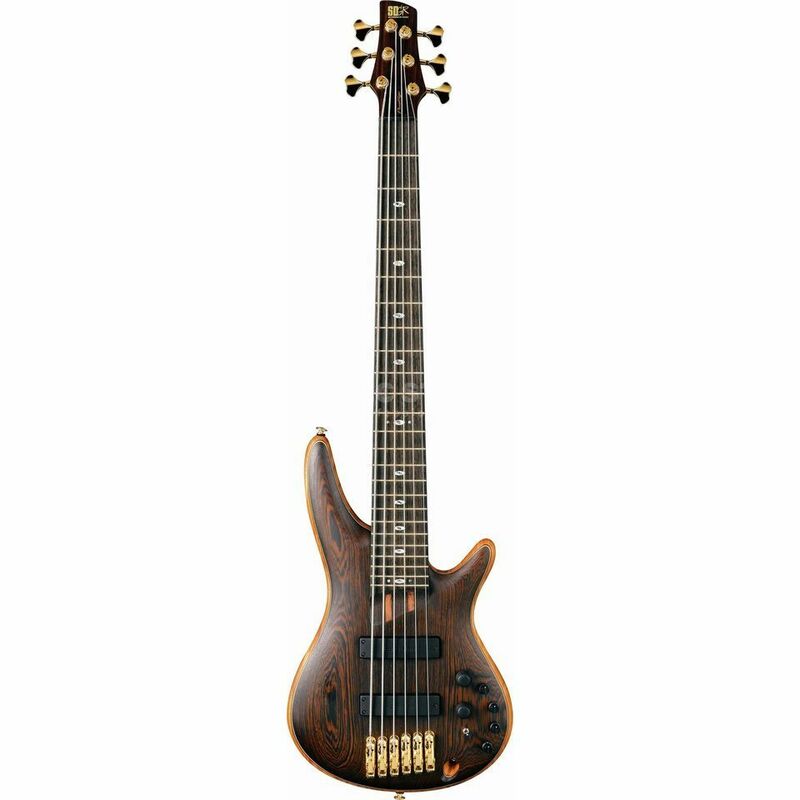 The Ibanez SR5006 6-String Bass Guitar in Natural Oil takes the classic SR body-shape to a new level thanks to its range of top-quality fixtures and fittings. The Ibanez SR5006 features a three-piece body with a Mahogany middle section that is sandwiched between two pieces of Wenge. As well as producing a visually striking instrument, this combination helps to produce a warm, well rounded tone with brilliant clarity and definition. The body is joined by an Atlas-6 HP five-piece Wenge and Bubinga neck that is strengthened by the addition of KTS Titanium truss rods. Topping the neck is a Wenge fingerboard that is fitted with oval Abalone inlays and 24 medium frets. The body of the Ibanez SR5006 comes equipped with a pair of custom voiced Bartolini pickups that are capable of producing an amazingly wide array of different tones. They are accompanied by a three-band Ibanez Custom Electronics EQ with mid frequency select and EQ bypass switches, as well as a master volume and pickup blend control. Rounding out the hardware selection of the SR5006 is a Mono-Rail V bridge that provides individual elements for each string and helps to provide increased sustain and tuning stability and a Graph Tech BLACK TUSQ XL nut.